Jasmine is a woody vine with fragrant blossoms that may be used as a climbing plant or a ground cover. Varieties of jasmine are variously known as Confederate Jasmine, Star Jasmine, Winter Jasmine or Asiatic Jasmine. Asiatic Jasmine is a true ground cover and will not grow in vine form and does not produce flowers or noticeable seeds. 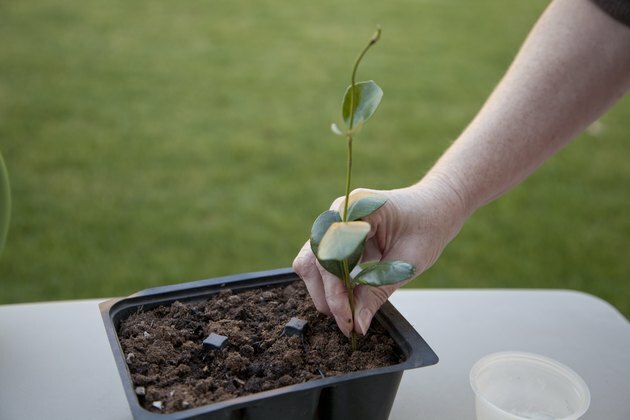 You can propagate the various forms of jasmine reliably through cuttings. Take cuttings of jasmine that contain at least three nodes, which are points where leaves emerge from a stem. Roots develop on cuttings along nodes. 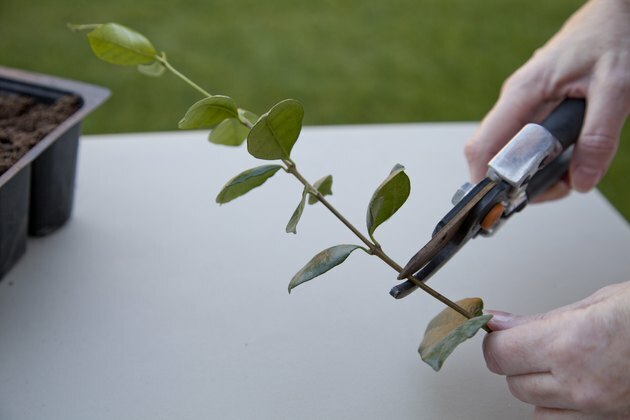 Place your pruning shears just below a node and snip across the stem. Strip the leaves from the lower two-thirds of the vines. Remove any flowers from flowering jasmine if any exist on the vines. Dip the cut end of jasmine in rooting hormone. Set the cuttings aside while you prepare the flats. Fill a seedling flat with peat moss. Water the peat moss until it is as damp as a wrung out sponge. Insert the jasmine vines halfway into each cell of the planting tray. 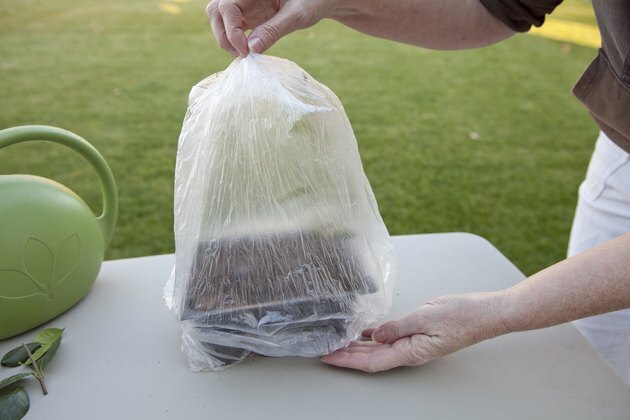 Cover the planting tray with a dry-cleaning bag and set it in a sunny windowsill out of direct sunlight or outdoors in the shade. 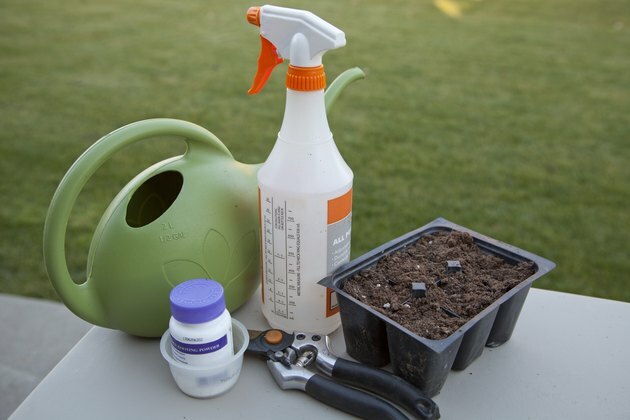 Check the plants daily and water any time the peat moss is dry. The peat moss should remain as damp as a wrung-out sponge. Mist the plants inside the bag any time they seem dry. 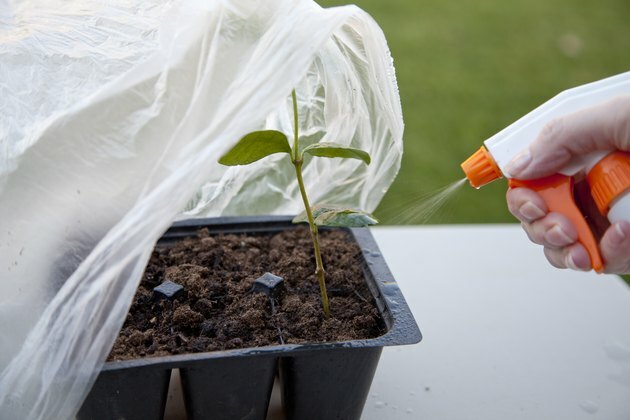 Remove the bag once the cuttings form roots. Continue to grow the cuttings in the planting tray until the roots fill the tray. 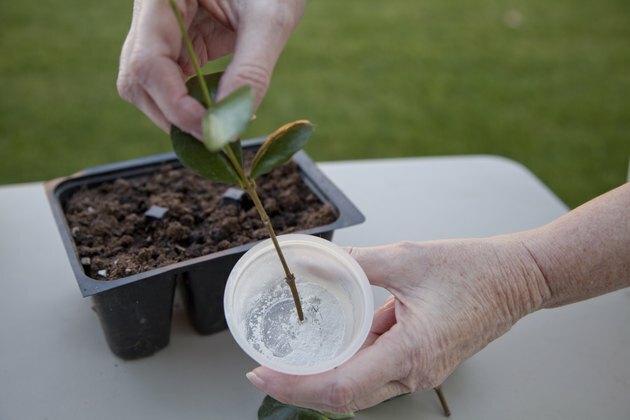 Then transplant them into larger containers or harden them off by placing them in the shade during daylight hours for one week before transplanting them into the ground.